The legend goes it was Fionn MacCool that built the causeway on the beautiful Antrim Coast. That fascinating rock formation on the north coast, the Giants causeway, is so otherworldly that it makes a certain amount of sense it was created by a giant. Now Fionn’s long gone but on the coast large numbers of giants still roam and feed and live. And they’re starting to attract a lot of attention. 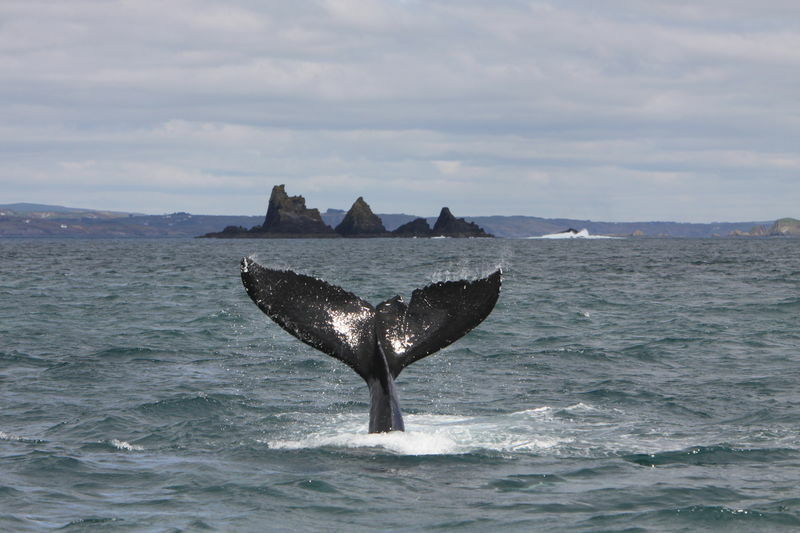 These are the real life giants of the Irish coast, the humpback whales. Humpback whales are seriously big and if you’re lucky enough to see one in real life this becomes clear very quickly. For us living in Ireland this ambition to find out for yourself doesn’t need to be too far down the bucket list. We’re pretty lucky in the diversity of residents and visitors in Irish coastal waters. And amongst the wide range of cetaceans that visit our shores throughout the year perhaps the most spectacular are the humpback whales. They can be spotted all around the Irish coast but most frequently along the west coast with Cork, Clare and Donegal the best places for a sighting. Although they have been seen throughout the year the most frequent sightings occur in late summer, autumn and winter when they come to their seasonal feeding grounds. Our coast is an ideal feeding area for these gentle giants, located midway as many migrate across the Atlantic between Western Africa and Northern Scandinavia. Ireland provides a rich feeding ground for the whales. 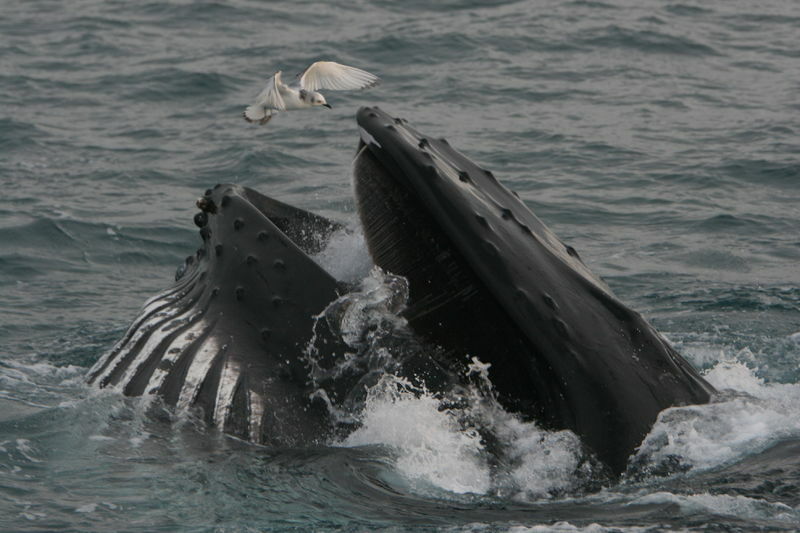 They feed on huge numbers of sprat and herring sometimes working together with other whales or dolphins to herd their prey into a feeding frenzy. Onlookers can sometimes bear witness to some of their more amazing feeding spectacles such as bubble netting. This is where the whales generate a surrounding column of bubbles to trap their prey, then lunge through it engulfing the contents in their open mouths. The Irish Whale and Dolphin Group (IWDG) are dedicated to the preservation and better understanding of these special creatures. They do that through research, education and monitoring the movements of these marine mammals. With Humpbacks, it’s the distinctive marks on their tails that allow the IWDG to track and monitor their movements.